The Local Eatery & Pub in Westfield is known for using fresh and ultra local ingredients. If it&apos;s fresh that day, chances are the ingredient could end up on your plate. 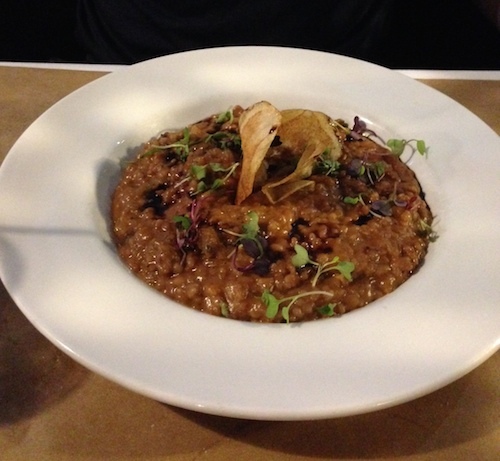 I was told to try something out of the ordinary at The Local, so I had the pig&apos;s head risotto. Basically, it&apos;s Italian cuisine meets Southern fare. Mixed amongst the risotto was pulled pork which just fell apart and was flavored with BBQ sauce. It almost made the risotto taste texturally like baked beans! Every now and then I&apos;d get a hint of buttery risotto. Was extremely filling and satisfying. I was told this was the chef&apos;s favorite and I&apos;m for sure ordering it again. Awesome meal! 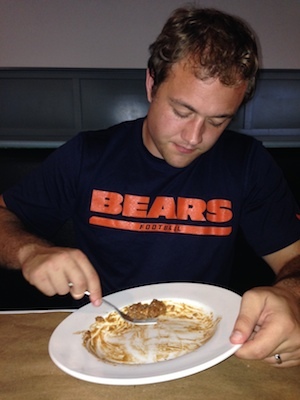 What should Jordan eat next in Hamilton County? Another crazy dish? An insane eating challenge? Let us know in the comments!